This is a picture of me and my horse Sprite! I have loved horses all of my life. I started riding when I was three. 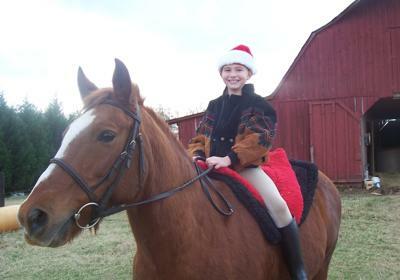 The first horse that I rode was a little Shetland pony named Snowball. On my seventh birthday I got my first own horse named Sprite. We have gone in many hunter-jumper shows together. We have even won some champion and first place ribbons. I am the biggest horse lover in the world! I would spend every second at the barn if I could. In fact I would even live there! Comments for Horse Crazy Summer! Hi! Long time no see! What's up? Your horse is BEAUTIFUL! Please comment on my page: Christina- Horse lover page 2(Picture's Page!). Thanks! P.S. You are sooooooooooooooooooo PRETTY!